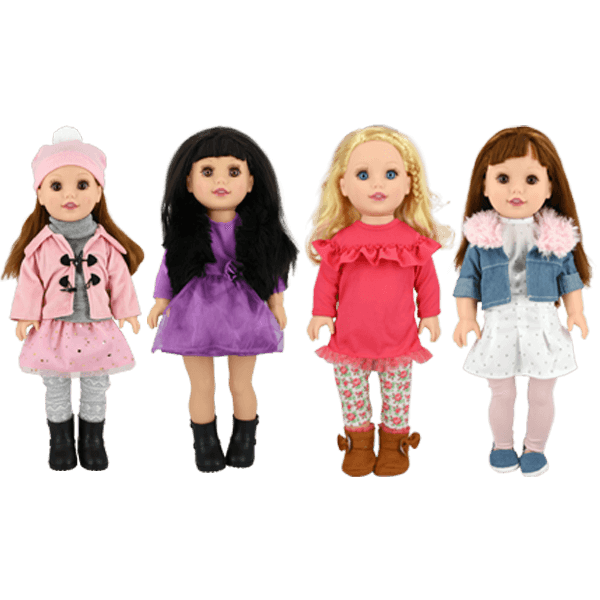 Style Girls 18 inch doll outfits step into style with fashion forward outfits! 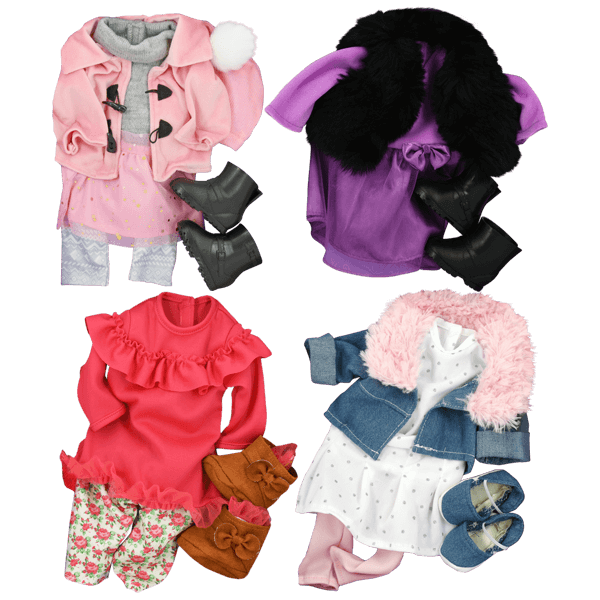 Each outfit comes with shoes and purse to dress your doll up with. Fits most 18 inch dolls. Collect all 4 styles!